It’s no surprise that there are so many different sportsbooks and betting shops these days – people all over the world love the thrill that only a sports wager can deliver. In the UK alone, the industry’s total gross gambling yield (GGY) amounted to £13.3bn from October 2015 to September 2016, according to the latest figures released by the Gambling Commission. Of that £13.3bn figure, land-based sports betting contributed 25% of the total, while remote betting accounted for 32% of the market. There’s no shortage of markets customers can get involved in, with thousands of betting opportunities available daily on a wide variety of sports, and for any gaming operator looking to enhance its offering, or a new start-up looking to make its name in the industry, launching a sportsbook is the obvious route for many. The last couple of years has seen some new and interesting sportsbooks enter the marketplace, from Bookee’s Tinder-inspired betting app to The Sun newspaper’s own betting site, and there’s been an influx of casinos looking for a slice of the action too, knowing the cross-sell benefits which a sportsbook can offer to their core offering. Years ago, the challenge of setting up a sportsbook for those new to the vertical was a daunting task. A lack of industry knowledge and the high costs involved will have put many off even trying, despite their passion for sports betting. However, as many businesses are starting to discover, integrating a sportsbook has never been easier – or cheaper. Gaming operators no longer need to have the sufficient knowledge of sports previously required or the headcount to provide a quality offering. 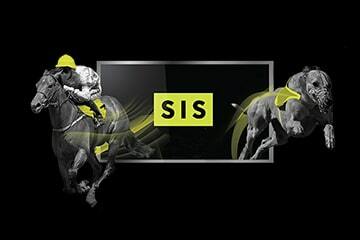 At SIS, we have over 30 years’ experience in the sports betting sector, providing our partners with the ultimate package to give them a competitive edge. We deliver live data feeds, streaming and pictures in horse and greyhound racing to both retail and online operators, providing over 100,000 betting opportunities a year, and with our strong experience, we’ve built up a powerful database backed by knowledgeable staff, removing the risks involved when previously setting up a sportsbook, as well as at a much lower cost. We’re constantly improving our services too, using the latest in state-in-the-art technology to bring innovation to the sports betting arena. We have developed a new fully-fledged greyhound and horse racing pricing derivatives service, which comes with a full set of data and live-streamed pictures, ensuring a turnkey solution for operators. New markets such as match bets will allow players to bet on one horse or dog beating another, while customers can also wager on the distance the winner wins by, and bet without the favourite. In addition, derivatives will enable customers to enjoy casino-style ‘spin-and-win’ bets on greyhound and horse racing events for the first time. They can also bet on the odd-numbered greyhounds against the even-numbered greyhounds, similar to how roulette is played, enabling a newer audience less familiar with the sport to join in the fun. And on the retail side, we can now offer betting shops with an improved tailored service, powered by SIS’s improved broadcast technology Complex Automated Production (CAP). CAP offers operators a bespoke streaming solution at a much-reduced cost following a technology-driven streamlining of the process, making it much more affordable for smaller retail operations. Sports betting is set to enjoy a bright future with a number of innovations, and with the help of SIS, it’s never been easier for gaming operators looking to capitalise on the popular vertical. For more information on how you SIS can help start up sportsbooks, please contact info@sis.tv.